The annual RED update for all Supercell games, including Clash Royale and Clash of Clans went live today! The RED event sells gems, along with a neat, unique feature in both games for $4.99, with the proceeds for all sales going to RED, which helps fight AIDS worldwide! Here are a look at the Clash Royale and Clash of Clans specials. That’s all I’ve got for you guys today! Make sure to buy this offer before it disappears in a week. 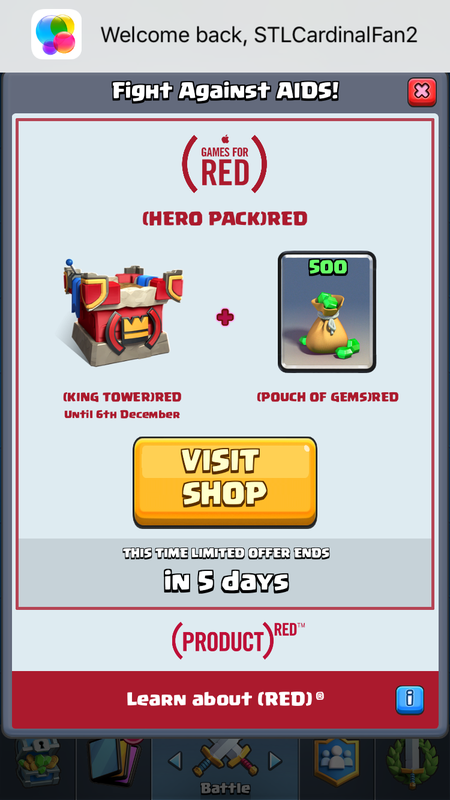 If you ever buy gems, now is the time to do it since it all goes to charity! Thanks for reading and make sure to check back tomorrow for some sick December 2016 Clash of Clans base designs! Clash Royale August/September 2017 Update LEAKED! 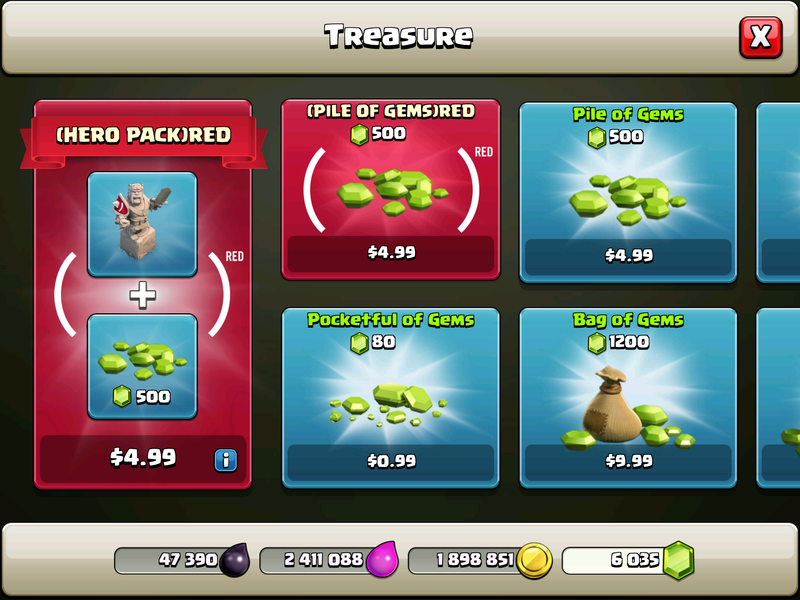 Pingback: RED Update Available for Clash of Clans and Clash Royale | Clash of Clans Guide, Strategies, Tricks and More!